I’ve been in a bread-making mood for quite some time now. Something about homemade bread just screams comfort to me. Once you get the basics of bread making down, you can venture into just about anything– savory or sweet. 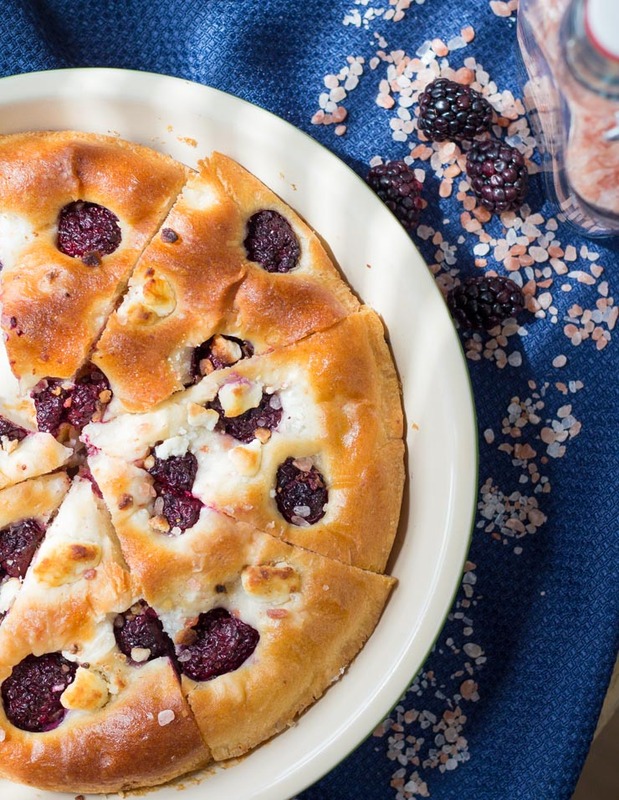 Trying to grasp onto the very last of summer (even though it has strangely been the hottest time of the year right now…), I decided to toss in my last batch of local blackberries for one final hoo-rah– Blackberry Goat Cheese Focaccia. 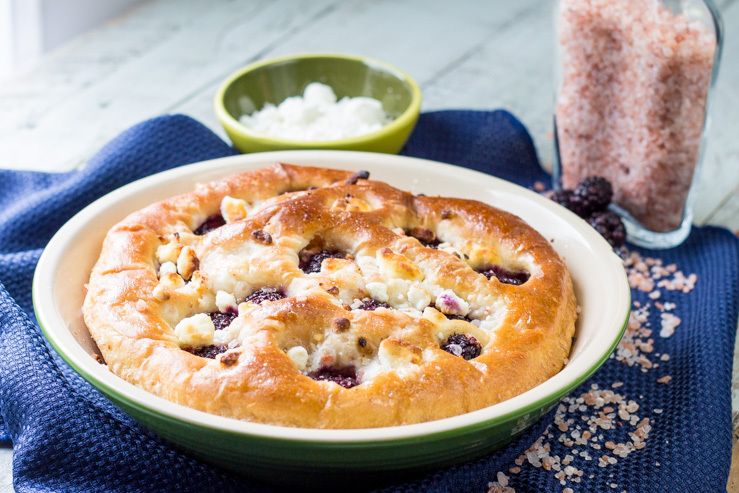 I’ve covered a bit about focaccia in the past with my Everything Bagel Focaccia (crazy addictive, btw). It’s really pretty simple to whip up. For a light, fluffy focaccia, you just have to be willing to let it rest. You’ll make the yeast starter and just leave it on the counter overnight to grow into an odd, bubbly monster-ish thing. Works out great for a forgetful person like myself. A double rise and then you are ready to bake. This is a great weekend project to take on while cleaning around the house, day-drinking with friends, etc. It takes a bit of time to rest, but doesn’t require all that much attention. Sorta like a small kitten or infant, I think. The beauty in this bread is the simplicity. 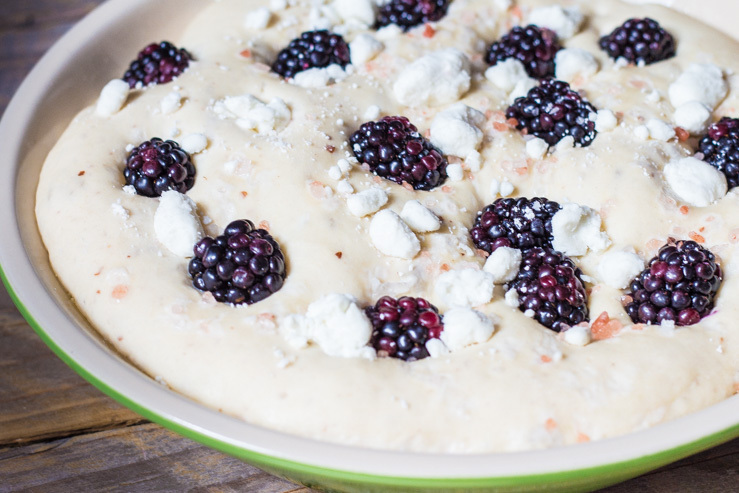 A basic focaccia topped with fresh fruit, creamy goat cheese (!) and a dash of salt for balance. Pink salt was my choice. I’m still not sure if it actually tastes any different, but it matches my shades of blush and bashful, so it just seemed like the right addition. Some honey for my honies, and you’ve got yourself a snack. Or breakfast. Or lunch. Or just an excuse to keep eating. 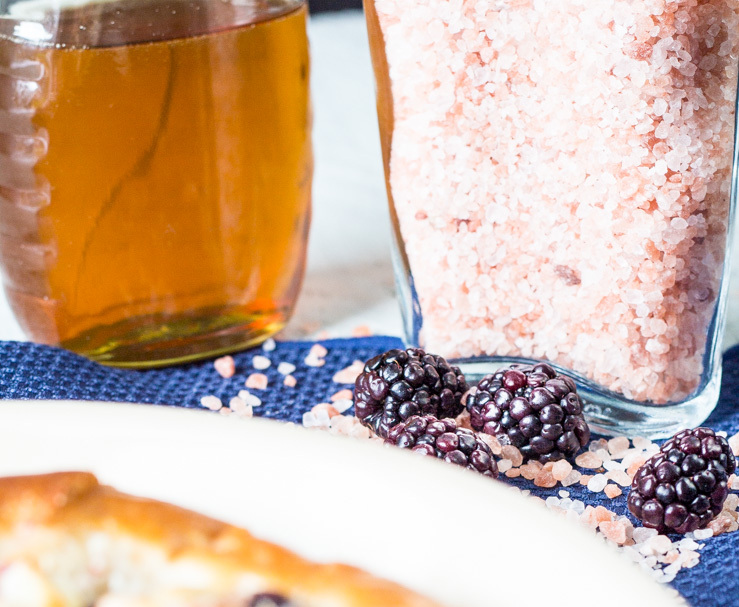 The blackberries roast beautifully into the pillow-like dough, leaving splashes of sweetness. 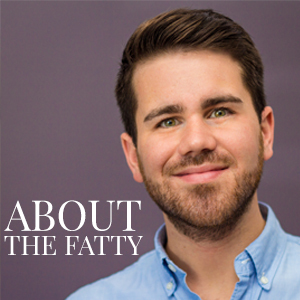 The goat cheese… well… is goat cheese! It doesn’t get any better than that. It holds it shape while baking, but then melts as you bite into the bread. Perfection. 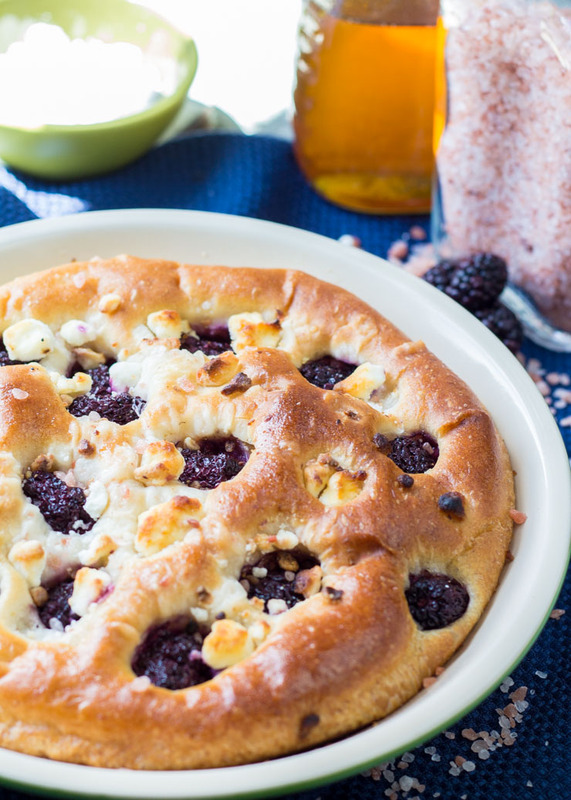 Classic, golden focaccia with a splash of fruit (blackberries) and creamy goat cheese. From SouthernFATTY.com. The day before you want to bake-- Combine ingredients. Cover bowl with wrap. Leave at room temperature overnight. The day after you created the starter, add water and yeast to a mixing bowl. Let sit for 10 minutes until foamy. Add the entire starter, olive oil, almond flour, bread flour, honey, salt. Mix slowly until combined. Increase to medium speed with dough hook for 6 minutes. Place dough ball in greased bowl. Cover with plastic wrap of a damp kitchen towel. Let rise for an hour and a half. Fold dough in on all four sides. Turn out dough into pan and lightly press into size. Brush top lightly with olive oil. Cover with plastic wrap or damp kitchen towel and let rise for another hour. Press small dimples around the dough randomly. Be LIGHT with you touch. You don't want it to deflate. 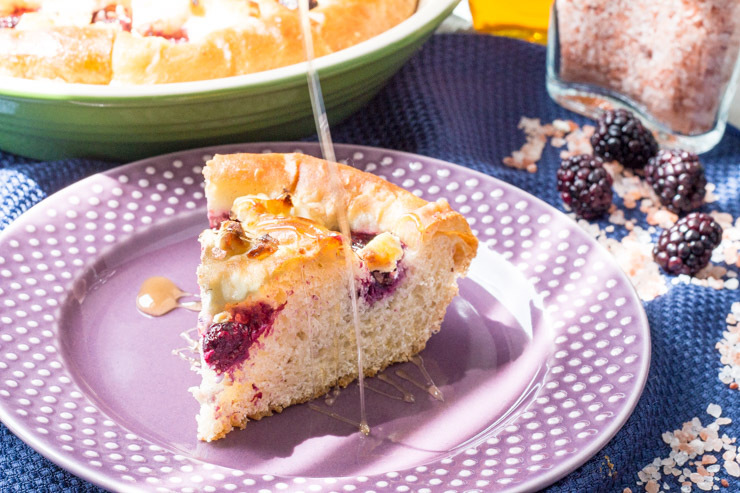 Drop blackberries into dimples. Sprinkle goat cheese and salt. Bake until golden, about 30 minutes. Watch closely, as you may need to place a foil tent over to prevent the topping from burning. Remove to cool and enjoy. NOTE: Freezes well. Wrap tightly once cooled in plastic wrap. Wrap in foil and freeze. 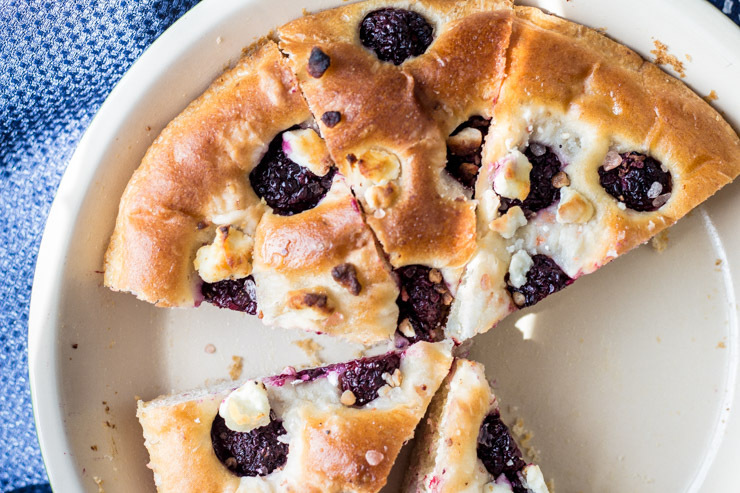 Check out our Everything Bagel Focaccia for another banging’ bread recipe. Your colors are pink and pink. So, almond flour in the dough? Interesting! I’ve only used it in desserts, but there’s no reason not to use it in yeast bread, is there? This is lovely, especially with the honey on top. Maybe a little half batch for my husb and me for Sunday dinner. Mmm. Just a touch. Added a nice richness to the bread, I think. Hope you enjoy!